Canada’s biggest, diverse and super-charged city is Toronto which certainly deserves the best entertainment and team building events. 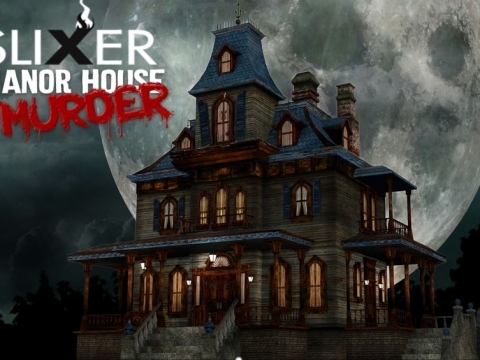 Accordingly, Slixer offers outrageously comedic murder mystery and improv entertainment plus corporate team building activities that match Toronto and the GTA’s energy. We love being involved in Toronto’s vibrant creative scene, we were recently at CBC studios on Front Street pitching the Dragons Den on a global murder mystery dinner concept. Although we didn’t get the money, it was nonetheless a great pitch. In addition, we offer great corporate events for conference breakaways, off-site days, social and networking. As well as Christmas parties, onboarding, orientation, employee and client appreciation, fundraisers and more. 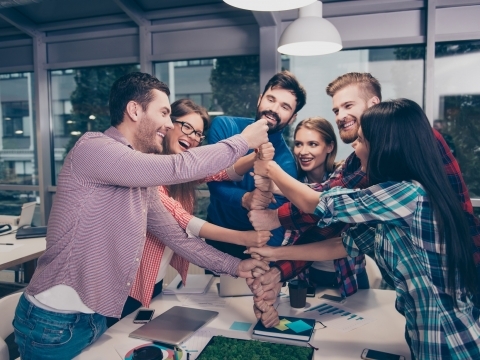 There is something uniquely important about workplace team cohesion. Without this and you will certainly start to drift away from your goals and business focus. With team building activities you build a bonded strength which will drive your common vision to its fruition. This is where team building days are of utmost importance. They give you a chance to step out of the office environment and through enjoyable and unique engagement strengthen that team bond. Toronto is the business capital of Canada and as such demands strong and focused teams in its business environments. The financial district is home to some of the most powerful companies in the world, as such, the most powerful players need top notch team activities to achieve positive results. On another key point is team dynamics within smaller and medium firms. Surprisingly, you will find that many of these companies do not have any kind of gamification program in place to ensure bolstered productivity. It must be remembered that it is only through strong, well synchronized human resources can any company, large or small, hope to deliver superior products and services. With this in mind you can see why at least once or twice a year your organization needs to embark on team building and gamification days. Your employees strength depends on it. You want to have happy, productive staff with a low turnover and a desire to excel. 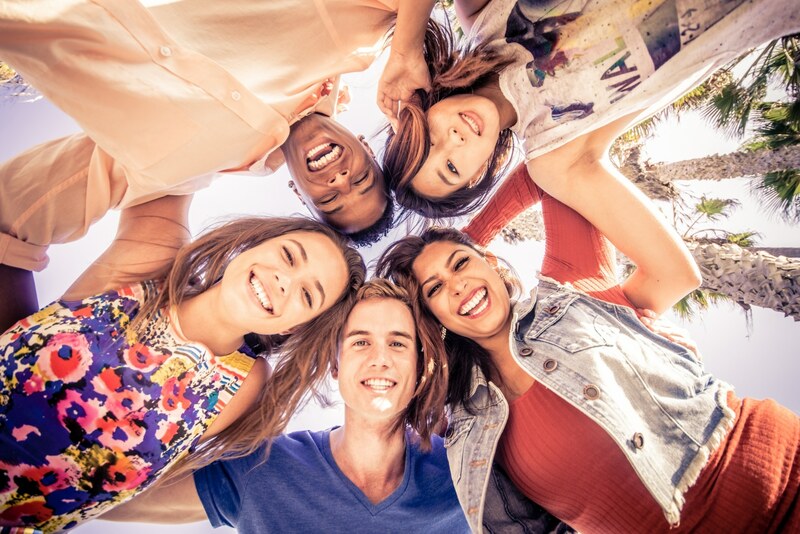 Owing to these needs, Slixer offers a variety of well-suited Team Building options on this page, Team Building Activities, including: Scavenger Hunts, Spy School, The Pitch, Improv Team Building, Amazing Race. Further, for those not so nice Ontario weather days, we have indoor programs like tabletop Quiz, Escape, Indoor Explorer, Museum Explorer. For example, we have excellent Indoor Explorers we love doing including the Royal Ontario Museum, Art Gallery of Ontario, Hockey Hall of Fame, Casa Loma and Aga Khan. Should teams collaborate or compete? We have both styles, for example, an Explorer event where teams must gain points on other teams independently or a Hunt where teams must share information to move forward. We are firm believers that a vibrant corporate social environment is critical in retaining and promoting quality people. A company, client or employee function will particularly benefit from Slixer’s array of corporate team building and social and networking event. We have fantastic events that are hi-tech and take place indoors. In other words, you don’t need to get wet, cold or hot to take advantage of a great team event. A hotel, resort, your offices or Toronto’s PATH, for instance, are all ideal for a scavenger hunt, city or indoor explorer or a number of other great activities. It is for this reason we’re good for any season! We have created the most amazing app: Adventure App. This has revolutionized how we deliver our events. Besides giving them a highly polished feel it brings a new level of engagement not possible before. For example, our scavenger hunts, indoor explorers and amazing races can be are played in city or country settings. Giving us further range of event purposes in many locations. Our challenges and team events have been designed to significantly improve team work, collaboration and learning & development. Each event is custom built with unique content, tasks and challenges which guarantees we will meet and exceed your objectives and expectations. Our online reporting tool will give you valuable insight into the key metrics from your learning event for immediate or post-event analysis. 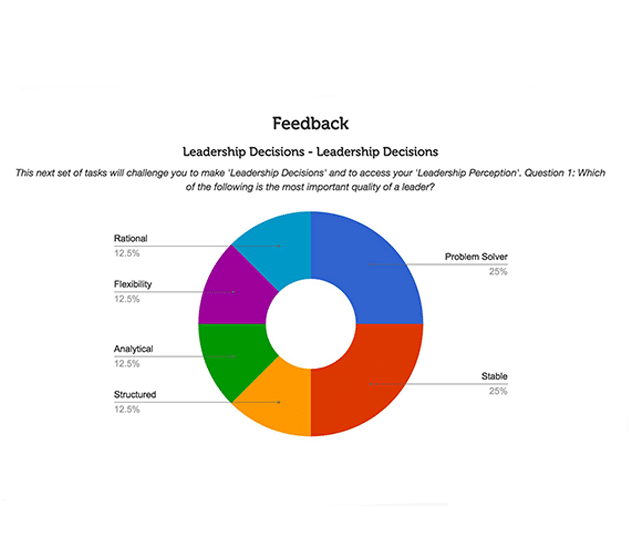 Capture feedback from participants linked to your key learning objectives for future discussion. 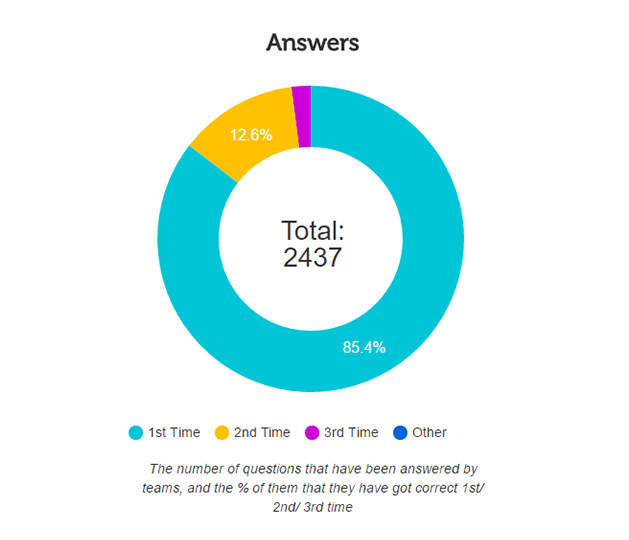 Measure the percentage of questions that teams answer correctly to highlight knowledge gaps. In-game analysis to track progress. Supporting photos and videos collated for future reference. We will whisk your guests around famous, not-so-famous, classic and sometimes tricky places. Various tasks, challenges, videos and photos will be obtained from cryptic clues and humorous clever riddles. 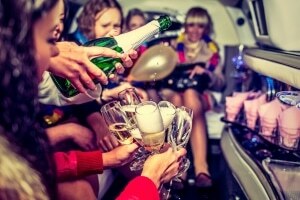 All done in the luxury of our carefully chosen fleet of stretch limos and SUV’s. We also have the ability to do a Limo Treasure Hunt which takes place in one limo but still separate teams. Great for corporate off-site days, stagettes, stags, Jack & Jill party, birthdays and anniversaries. Especially built specifically for your needs and location, various themes can match particular needs. All our hunts are fuelled by our amazing Adventure App. More information? Just click on the name link above for each event. Check out this short clip of our Adventure App’s Features. 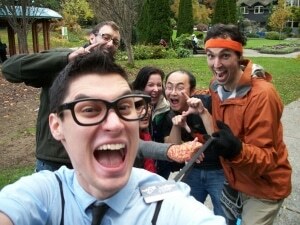 Digital meets physical in our one of a kind ‘Amazing Race’ style scavenger hunt. Creatively themed to suit your location of choice, trails of hotspots will populate leading teams to ‘road block’ activity stations where anything can happen as you compete in a race to your mystery end location. Between activity stations teams have the chance to activate hotspots via GPS containing tasks, questions and fun photo & video challenges. Where possible, we’ll incorporate a variety of modes of transport into this high-speed interactive challenge to get teams covering as much ground as possible in the time available. Explore, learn and work as a team whilst tackling a variety of questions, trivia and team challenges. 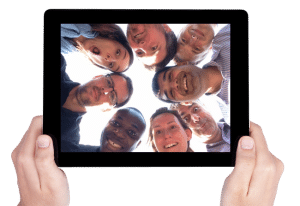 Roadblock activities will get teams using our app’s innovative image recognition and augmented reality for a range of cryptic and collaborative challenges for a truly immersive amazing race experience. Our dedicated and experienced team will work with you before the event, to help put together your game and can also recommend a suitable venue for the start and end of your event. 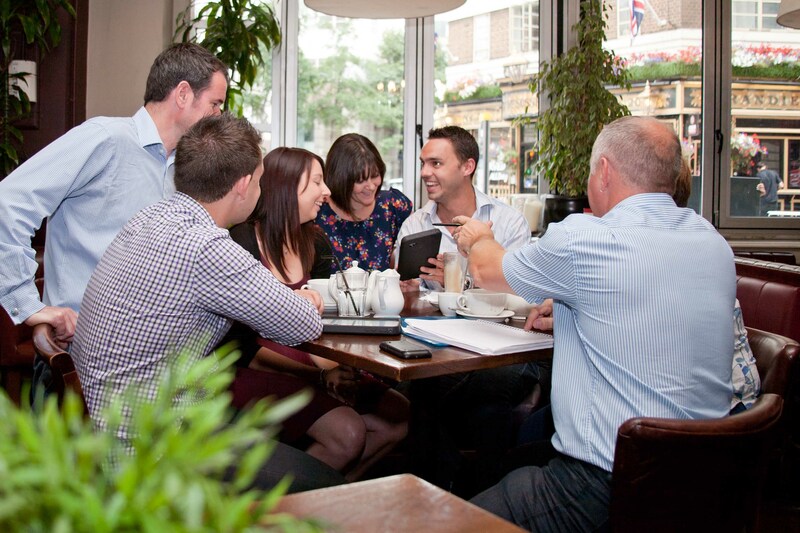 All of our events can be run with remote support using your own devices or fully managed with an event facilitator. If you have colleagues or offices in other locations around the world, our multi-city option is a great way to involve and engage them. Let us know when you inquire if this is something you’d like to include as part of your event. At Slixer we understand the need for people to make the most of their time together. Team events should promote fun and positive emotions, as well as leading to greater levels of performance and productivity. The Explorer Series is a range of learning and development hotspots that can be incorporated into our ever-popular location-based activities. An ideal solution for those who want to combine inspired learning content with the fun and excitement of a city or venue explorer. Activities include awesome multimedia challenges inspired by latest thinking and theory to promote performance development and drive behavioral change. A focus on fun and exploration remains active throughout the learning process. Through exploration and discovery, this is active learning at its best. A unique, interactive scavenger hunt which allows you to explore your chosen venue. Ideal for a short icebreaker, break-out activity or team building session, this is a scavenger hunt with an interactive twist as you work together to navigate around the venue or your conference room; answer questions, complete tasks and tap into your most creative side to complete photo and video challenges to earn your team valuable points. 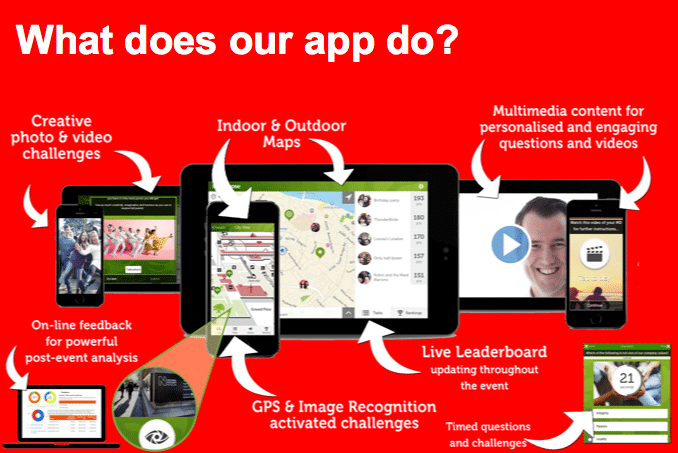 Using our award-winning app as their guide, teams will be sent on a scavenger hunt mission to unlock tasks and challenges around your chosen venue using image recognition and GPS. With our multi-map functionality, all our hotel and venue scavenger hunts can be created with a mix of indoor and outdoor gameplay. Content can be completely customized too making our scavenger hunt the perfect platform for a fun and creative learning activity. Explore, learn and work as a team whilst tackling a variety of questions, trivia and team challenges. Incorporating interesting facts about the venue this is a unique team event designed to test your knowledge. Our dedicated and experienced team will work with you before the event, to help plan every detail. All of our events can be ran with remote support using your own devices or fully managed with an event facilitator. An ideal activity for a break out activity or team building session at your chosen venue. The city streets are your playground for this team event as you get out and about to explore, learn and compete against other teams in our unique and interactive City Explorer scavenger hunt. Armed with our app as your tour guide, this is a scavenger hunt with an interactive twist as you work together to locate the city based hotspots, answer questions and earn points. All of our City Explorer scavenger hunts are unique to the location you’re visiting, so no two events will ever be the same, offering you the opportunity to choose a different destination for your event every time. Delve into historical happenings, identify famous people from the area and gain amazing new facts – this really is interactive learning and fun at its best! By removing the scoreboard, our City Explorer becomes the perfect tour guide for your group. We can even add foodie stops, wine tasting and more to help facilitate a culture-packed incentive trip for your group! Explore, learn and work as a team whilst tackling a variety of questions, trivia and team challenges. Incorporating historical and local news, interesting historical facts local musicians, bands and sports personalities, famous people, and local food and drink, this is a unique team event designed to test your knowledge. The city streets are your playground for this team event as you get out and about to explore, learn and compete. Explore, learn, compete – a unique, interactive team building experience which allows you to explore an iconic museum. Discover hidden facts and amazing artifacts, whilst completing engaging photo and video challeng es at some of the North America’s leading museums including the Art Institute of Chicago, Glenbow Museum, Museum of Anthropology, Canadian Museum for Human Rights, Royal Ontario Museum and Natural History Museum of Los Angeles to name but a few. 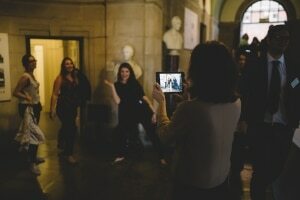 Armed with our app as your guide, this is a museum scavenger hunt with an interactive twist as you work together to navigate around the museum using image recognition and augmented reality to answer questions, complete tasks and tap into your most creative side to complete photo and video challenges to earn your team valuable points. Explore, learn and work as a team whilst tackling a variety of questions, trivia and team challenges. Incorporating interesting facts about the exhibitions, displays and artifacts this is a unique team event designed to test your knowledge. Our dedicated and experienced team will work with you before the event, to help plan every detail. All our events can be run with remote support using your own devices or fully managed with an event facilitator. What do you get if you combine a scavenger hunt, a trivia night and a bar crawl? Our Bar Explorer! You’ll get to explore everything your chosen city has to offer, with interactive challenges and a couple of bar stops along the way. The city streets and bars are your playground for this unique and interactive team event, as you get out and about to explore, learn and compete against other teams with a few cheeky drink stops along the way. Armed with our app as your tour guide, this is a team building event with an interactive twist as you work together to locate the city-based hotspots, answer questions and earn points. Our Bar Explorer activity invites you to visit bars as you navigate your way around your chosen location for a well-earned drink! We’ll include a huge variety of great clues, questions and trivia that will test the teams, get them working together and having fun whilst they check out some of the local bars. This really is interactive learning and fun at its best! Teams will be presented with a variety of questions, trivia and team challenges to encourage them to work together. Photo and video challenges of the teams in action and can all be shown at your destination! Can’t decide on one theme? The Ultimate scavenger hunt provides the perfect solution. The Ultimate scavenger hunt includes a combination of our favourite tasks and challenges from the likes of our City Explorer, Spy School, The Pitch and Street Olympics scavenger hunts. Teams are encouraged to harness their creativity and communication to complete photo and video challenges together with a series of trivia and questions. Teams will need to stay alert, as there is no way of telling what could come up next! This team challenge is guaranteed to get people working together and having a blast whilst they’re doing it. City streets, parks and venues are your playground and will see teams solving spy inspired tasks and reenacting the greatest sporting moments. What’s more, this theme can be completely customized to suit your needs or team objectives. Indoors, outdoors, quick breakout activity or full afternoon activity, this is the perfect high-energy and creative solution for your group. Our dedicated and experienced team will work with you before the event, to help put together your game to suit any time frame and any location. All our events can be run with remote support using your own devices or with an event facilitator. Hilarious by nature…deadly by design! The first cocktails of the evening…playful laughter, casual socializing… “Hahaha” and then…a sudden surprise as shots ring out! Was that a hitman? Was it a guest? Did the detective just take down a felon or eliminate a potential witness? Could it be an inside job? Does he get the “hit” or does he get himself shot; from that moment on…it’s anybody’s game! A homicide detective arrives and every eye scans for the guilty party. Who will reveal the truth and who will unveil the real culprit? Who hired him? Why? Should anyone beware? Has the “fun” just begun? How long has the barkeep been employed? Who else is involved? Is that your real hair colour? Comedy is the key ingredient. 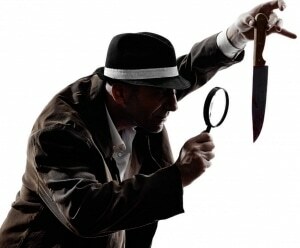 Murder Mystery dinner theatre is staged in an environment of great food, whether a sit-down dinner, buffet, luncheon or tapas and cocktail style. In addition performed in unique environments and plenty of ambiance such as restaurants, cruise boats, private homes or lounges. More over, each event has a customized script created along with a professional cast rehearsed in the plot. The actors then arrive just like the real guests with no one knowing who they are – incognito. That’s when all the fun begins! At any given moment you could be talking to a murderer, a potential victim or just plain innocents. But that’s all part of the fun as wild scenes sporadically erupt. Then guests have an opportunity to try and solve it before the actors wrap things up with the big, cataclysmic conclusion. Your Mission, if you choose to accept it, is to have a blast! Our Adventure App provides Teams with a unique and interesting way to interact with the live Mission Impossible Mystery Theatre. We have designed our dinner theatre interactive app to enhance the experience with online evidence collection, video presentations, multi-media evidence and some zany fun. During your Mission, there will be actors in character that will help reveal clues and engage audience members, teams will earn points and at the end of the game, our host will view the scoreboard to determine who has won by which team answers the question correctly of Who Killed Who + the most points. Solving the murder(s) allows your points to be considered. The aim of the Mission is for teams to solve the murder(s) using the Adventures App and to complete as many tasks and challenges as possible to earn the most points. Teams will have to physically visit some hotspots to unlock the challenges using Image Recognition and/or GPS activation. This event can be a Fully Managed or Part Managed event where your group involves four volunteers to assume characters and we provide a host or self managed for budget friendly murder mystery events. Cryptic messages, secret codes and covert missions – all features of the exciting Slixer Spy School scavenger hunt. Tasked with several challenges, teams will need to channel their inner spy to succeed and reign supreme. 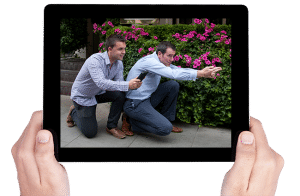 Using the most advanced technology in the event industry, each team, armed with our app as their guide, will undertake a journey of espionage around your chosen location and complete a range of spy inspired tasks, challenges and questions. An eye for detail, an excellent memory and a competitive streak is what’s required of you and your fellow spies for this fun, competitive spy-themed scavenger hunt. ‘Secret Spy Meeting’ hotspots can be included in the scavenger hunt, allowing teams to grab a much-needed martini before hitting the streets again and trying to uncover the rogue spy in their organization. 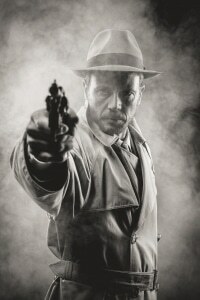 Enhance your event by using our range of actors who will pose as undercover agents, forensic scientists and black-market traders making this unique spy themed scavenger hunt a truly immersive activity. Teams will be presented with a variety of questions, trivia and team challenges to encourage them to work together. Photo and video challenges of the teams in action and can be shown immediately post-event. 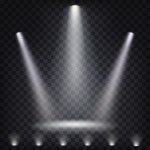 Outstanding professional improv comedians will cause full-out laughs! We will work with you gathering inside information to customize your groups improv experience complete with comedy and wit. Improv is a perfect way to enhance any event with interactive entertainment and laughter. With energy driven improv troupes available in your city, our comedians will have you rolling on the floor in fits of laughter. Improv comedy is engaging team-bonding at its best! Alternatively, you can select our Team building Improv event where your people actually participate and learn improv techniques. Comedy fosters successful collaboration. In order to succeed, participants must establish effective communication and accept and build upon each other’s actions while remaining as flexible as possible. As a result, everyone is empowered to interactively discover his or her inherent creative potential. A Common Side Effect: Laughter! Our Olympic themed event encourages teams to pick up the pace, channel their inner athlete and work together to take on a series of challenges and tasks all with an Olympic twist. No need to don your gym kit… All that’s required is a desire to win and have fun. Combining sports trivia and creative challenges teams are required to engage their grey matter as well as athletic prowess in order to succeed. Win or lose – gold, silver or bronze – it will be the most sporting fun you can have without having to book a flight to Tokyo! 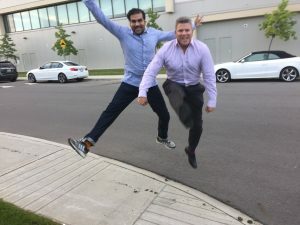 City sidewalks, parks and venues are all brimming with potential for fun challenges and tasks that will see you and your team re-enacting great sporting moments, answering sporting questions, completing against the clock challenges and participating in photo and video challenges. Teams will be presented with a variety of questions, trivia and team challenges to encourage them to work together. Photo and video challenges of the teams in action can be shown immediately post-event. This event can be ran with remote support on your own devices or fully managed with an event facilitator. If you have colleagues or offices in other locations around the world, our multi-city option is a great way to involve and engage them. Let us know when you enquire if this is something you’d like to include as part of your event. d. This can be contrasted to the exclusive type of humour that marginalizes individuals or groups and often has negative results. You’re in the frame. You need to escape. You must beat the clock. The question is simple; do you and your team have what it takes to escape? Based on the popular escape room challenges, this 60-minute activity combining tasks, riddles and puzzles will put your problem-solving skills to the test. Starting out in a ‘locked office,’ you are in the frame as an accessory to the perfect art heist. Participants must work together to complete a series of tasks and interactive challenges before they can ‘escape’. <span data-mce-type=”bookmark” style=”display: inline-block; width: 0px; overflow: hidden; line-height: 0;” class=”mce_SELRES_start”>﻿</span> Armed with tablets featuring interactive game screens, teams will have to unpick evidence, unravel cryptic messages and avoid the curveballs that will be thrown at them along the way. Teamwork and logic skills will be thoroughly tested in this virtual escape scenario. Interactive and engaging this unique team activity is an ideal solution for conference breakout sessions, icebreakers or for when time is limited. 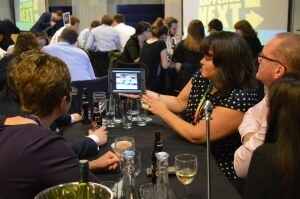 And because The Escape is played ‘virtually’, it can be delivered at any location or venue for any team size. Work as a team to tackle a variety of questions and team challenges, whilst solving puzzles, unlocking clues and deciphering cryptic messages. Teamwork and problem solving skills will be thoroughly tested in this virtual escape scenario. This is a Fully Managed event meaning that our dedicated and experienced team will work with you before the event, to help put together your game and can also recommend a suitable venue. On the day, our event staff will be on hand to deliver a vent briefing, offer guidance and support (but no clues!) and after the event to provide an eagerly anticipated wrap up presentation. In this creative and challenging game, teams will be required to create, market and pitch a product good enough to prove they have the business acumen and entrepreneurial skills it takes to be on the winning team. The success of the team starts with the initial challenge of quickly identifying each others’ strengths and delegating specific roles including – project manager. Participants won’t get off lightly during the event and will be under the scrutiny of a judging panel, with bonus business challenges available throughout, enabling the teams to score extra points and invest points in other teams’ companies. Finally, the teams at the top of the scoreboard will be invited to pitch their product to their peers. The group then uses the technology within the app to vote for their favourite team in an exciting and tense finale!marketing, finance and design. Divided into three distinct sections, teams aim to fulfill a range of business objectives in a logical order – everything from designing logos, filming adverts and creating marketing materials, to interviewing potential consumers and creating a prototype product from materials gathered during the day. Slixer actually knows a thing or two about this because we actually appeared on Dragon’s Den and pitched our concept. The Pitch can be run inside or *outside, with challenges spread across a chosen location encouraging teams to engage with their surroundings. This high energy game is the perfect challenge to promote time-management, communication, creativity, presentation skills, leadership and team work. *we recommend allowing 3-4 hours for this challenge, including a briefing at the start and wrap-up presentation at the end. Participants won’t get off lightly in this creative and challenging business-themed scavenger hunt. A game-changing experience designed to help teams create impact through action. 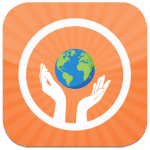 This unique scavenger hunt combines gamification with giving to improve lives around the globe. Partnering with B1G1, a social enterprise and non-profit organization with a mission to create a world full of giving, we’ve designed a high energy, interactive team event to engage hearts and minds. This immersive experience which can take place indoors or outdoors will help participants connect with each other whilst creating real social impact around the world. The perfect addition to a team dinner or conference breakout and a great indoor alternative to a scavenger hunt. This interactive team building activity will entertain and amuse your guests over dinner, within conference breakouts or within any indoor setting you desire. Using pre-set popular trivia categories or customized content, teams will activate questions and fun challenges using an interactive game screen. Teams will answer questions, complete tasks and tap into their most creative side to complete photo and video challenges to earn valuable points. A perfect icebreaker, conference breakout or over-dinner networking activity. Maybe one for your next holidays party? Are you the Quiz Whiz? Work as a team in between dinner courses and mingle with your guests whilst tackling a variety of questions, trivia and team challenges. This Tablet Quiz is available as a Fully Managed event meaning that our dedicated and experienced team will work with you before the event, to help put together your game and can also recommend a suitable venue for the start and end of your event. The perfect accompaniment to a dinner event and an ideal way to entertain guests between courses. Most of our events have the option to be Fully-Managed, Self-Directed or something in-between. This includes our murder mysteries. So, depending on your needs and budget, it’s most likely we have the right fit for you! Have a look at what each includes, then choose the events you’d like a quote for and we’ll reply with detailed information and pricing. Fully-managed with an on-site host to conduct entire event, six professional actors, clues & evidence (both physical and digital), props, a prize for winning team and fully customized script and customized evidence. 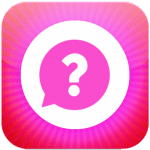 [Optional Mystery App Enhancement] Plus, an off-site Game Master who works in the system backend of the Adventure App control, updating custom scoring for creativity, releasing cool tasks and videos at key moments. 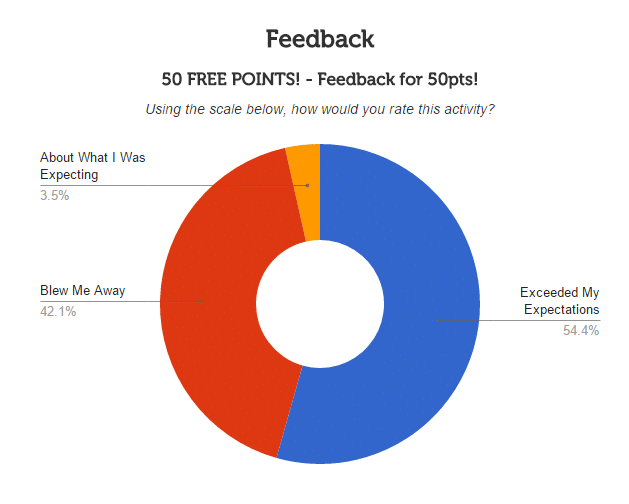 Host will remain to ensure the presentation and feedback aspect is managed. Prior to the event we send you and your team clear Powerpoint and PDF instructions on how to download the Adventure App and game day play. There is a technician on messaging as well for any tech issues. No on-site host. An off-site Game Master works in the system backend of the Adventure App, updating custom scoring for creativity, releasing key evidence at crucial moments and preparing and sending wrap-up presentation link. All evidence and clues will digital only on the Adventure App as the mystery progresses. We send you and your team clear Powerpoint and PDF instructions on how to download the Adventure App and game day play. There is a technician on messaging as well for any tech issues. Up to four volunteer actors will receive their character breakdown and script and must be sworn to secrecy. We send you and your team clear Powerpoint and PDF instructions on how to download the Adventure App and start your event. Plus, how to access and manage the Game Master Headquarters for custom score creative or switch it to auto scoring, how to get your presentation link, how to access the feedback report and game day play. There is a technician on messaging as well for any tech issues. An on-site host introduces and guides the mystery. They will brings physical clues & evidence, stage manage and direct the guest actors. Concludes the mystery and announces the winner. Plus, an off-site Game Master works in the system backend of the Adventure App control, updating custom scoring for creativity, releasing key evidence at crucial moments and preparing and sending wrap-up presentation. Liaises with chosen venue. Up to three volunteer actors will receive their character breakdown and script and must be sworn to secrecy! No on-site host. An off-site Game Master works in the system backend of the Adventure App control, updating custom scoring for creativity, releasing cool tasks, videos and other media at key moments and preparing and sending wrap-up presentation link. We send you and your team clear Powerpoint and PDF instructions on how to download the Adventure App and game day play. There is a technician on messaging as well for any tech issues. 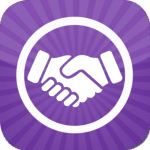 Keep current on the latest trends in team building, group activities and our public events. What a Great Murder Mystery!